Spring brings a break (this week with the kids since their off from school), flowers and just some serious cleaning around the house (I'm in a dangerous "want to get rid of everything" kind of mood!). We're not going anywhere this week because we are planning for some serious fun during the summer (can't wait!). 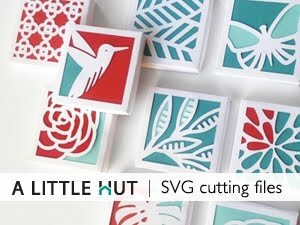 Like some of you that follow me on Facebook have seen I've kept the freebies going (one SVG/DXF daily until Easter) and although I've been very quiet here on the blog the behind the scenes is all about Surtex (visit me at booth 664!) and putting together my portfolio for that. It's been fun and it's so hard not to show everything I have in store for the show. That's why it's been so hard to keep with the blog. - Cut out 6 flowers—2 each of 3 different sizes and deleting the circles towards the center of the flower (you may want to leave the circle in the very center to use with a brad). - Overlap all the flowers from smallest to largest, making sure the petals don't overlap one another. This will give you the purple part of the flower. 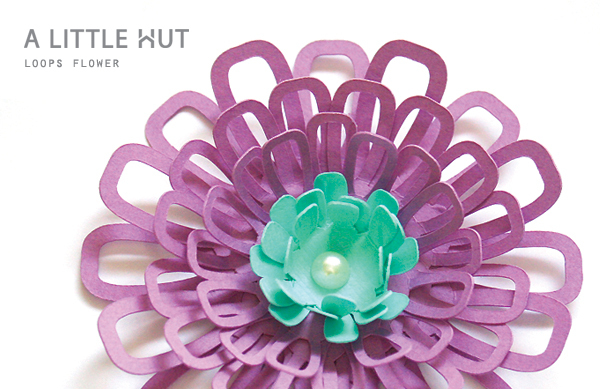 - The center is simply made with 3 even smaller flowers, of the same design, but that have no cutouts. That's all for today because some seriously gorgeous spring weather beckons!